SRI THYAGA BRAHMA GANA SABHA’S CONFERMENTOF BIRUDHU “VANI KALA NIPUNA” ON THE FOLLOWING STALWARTS ON SATURDAY AUGUST 20TH 2016 AT VANIMAHAL. Smt. S. Mahathi is a child prodigy who started Identifying classical ragas before attaining two years of age. She exhibited her talents at Mylapore Fine Arts Club during December music festival in 1988. Mahathi’s parents were her initial Musical tutors before getting her training under Deepa & Gayathri of Trivandran. She later on took the guidance of Sri Mangad K Natesan at Trichur. She had her advanced training in Music under Padma Vibhushan Chevalier Dr. M. Balamuralikrishna and Padma Bhushan Sangita Kalanidhi Madurai Sri T N Seshagopalan. In 1994 she was awarded Scholarship by the Central Government. All India Radio and Doordarshan judged her as an “A” Grade Artist. She has sung more than 600 film songs in Tamil, Telugu, Malayalam & Kannada and is considered as a very popular play back singer. She has given programmes at Sydney Opera House, Cleveland Thyagaraja Aradhana Festival, etc. Tamil Nadu State Government has awarded her and she has received International Film Award at Singapore. Sri Kanchi Kamakoti Peetam has honoured her with the title “Sangeetha Seva Mani”. She enjoys the rare distinction of handling both Carnatic as well as Film Music exclusively & has given programmes worldwide. 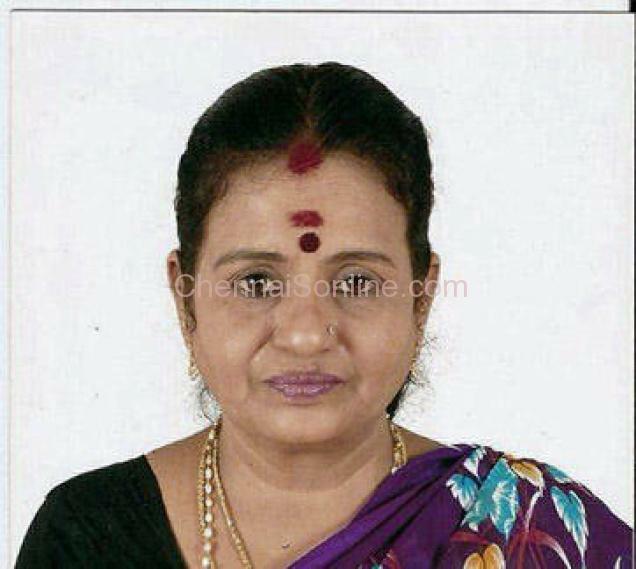 Dr. R. Hemalatha is the Youngest of Mambalam Sisters & Daughter of Senior Kanjira Vidwan Sri K.S. Rangachary. She started her violin training under the tutelage of Sri K. Sivaraman and later under Late Sri T. S. Narayana Rao. She has been performing for the last 25 years and is considered as a Top ranking artist of All India Radio. After completing Masters & M.Phil in music she has got her Doctorate in music from Madras University for the topic “The Raganga Ragas in the Sangita Sampradaya Pradarsini of Subbarama Dikshitar”. She is not only a performing artist but she has also presented several lecture Demonstrations at Music Academy, IIT Madras, etc on various topics. 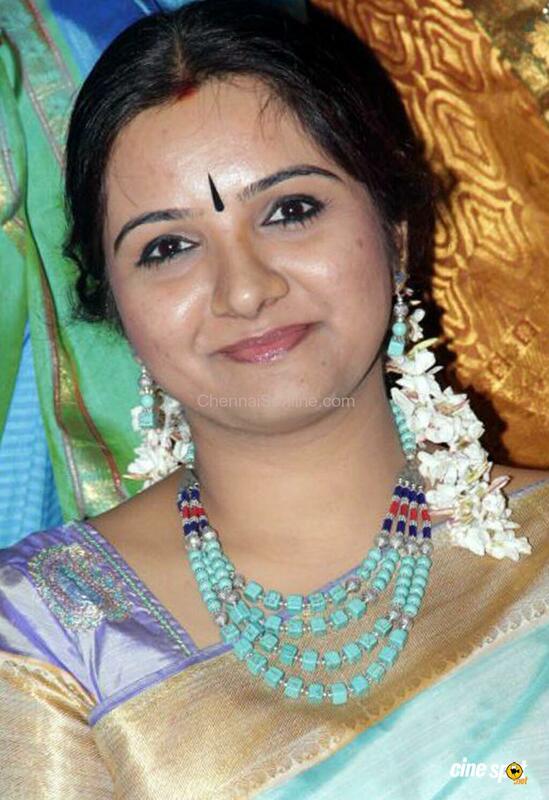 She is presently working as assistant professor in Madras University’s Department of Indian Music. She has accompanied several senior vidwans on her violin. Smt. 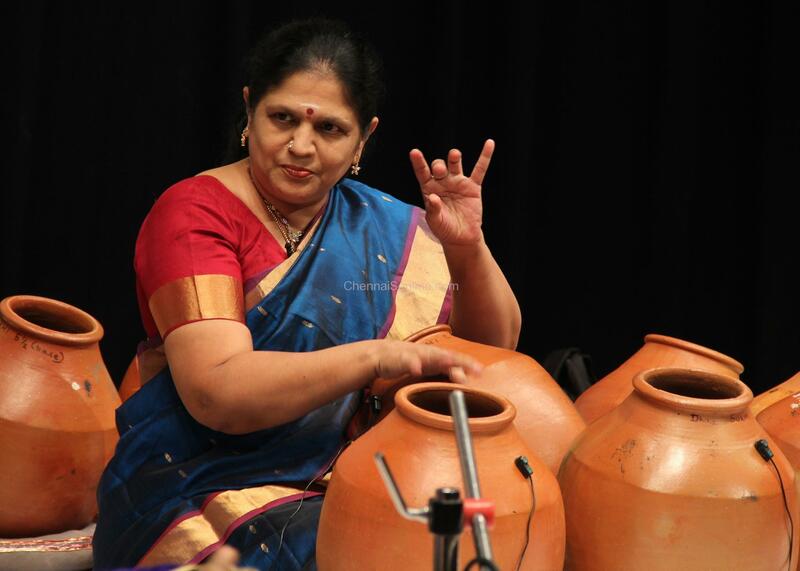 Sukanya Ramgopal is not only the first woman Ghatam Artiste of India but is one of the frontline percussionists. When she was hardly 12 years old she had her initial training in Mrudangam under by Sri. T.R. Harihara Sharma. When she was 17 years old she transitioned from Mrudangam into Ghatam and became popular as a Ghatam artist with the blessings of Sri Harihara Sharma and Sri Vikku Vinayakram. She is very proud to say that she is now one of the true Torchbearers of Vikku Bani of Ghatam Playing. She also performs on the Konnakol proficiently. She is the great granddaughter of Dr. U.V. Swaminatha Iyer fondly known as Tamil Thatha. Sukanya has conceptualized a unique idea on Ghata Tharang. 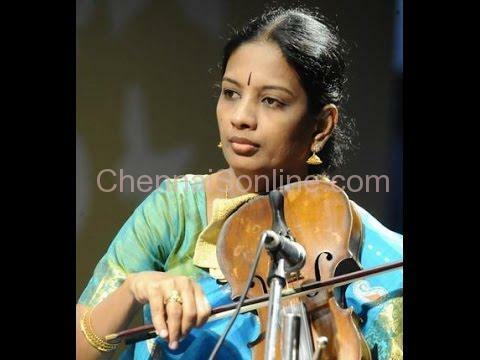 She has accompanied several senior carnatic musicians on her Ghatam. All India Radio has graded Sukanya as a “A Top” Artist. She has several titles to her credit and has won numerous awards. In 2014 she was the recipient of Sangeet Natak Akademi Puraskar. She has travelled to US, UK, Germany, Canada & Other countries besides giving performances throughout India. Ms. Archana Narayanamurthy had her initial training and performed her arangetram under the tutelage of Ms. P. Suryakala the International Dance Director of Temple of Fine Arts Founded by his Holiness Swami Shatanand Saraswathi. For more than 2 decades she has been performing at various sabhas in Chennai and at Various festivals conducted in India and abroad. She is a lawyer by profession and holds a post graduate degree in law. She is the disciple of Illustrious Nattuvanar, Teacher, Choreographer Sri Pandanallur S Pandian. She is the Managing Trustee of Pandanallur School of Arts where she gives training to students in Pandallur Style of Bharatanatyam. She was appointed as an expert member in 2014 for Bharatha Natyam at the Tamil Nadu Music and Dance University Chennai by the Adhoc Board. She is also the Trustee of Marudha Natyanjali conducting Natyanjali dance festival annually every year on Mahashivaratri day at Mahalingaswamy temple Tiruvidaimarudur. She has got scholarship from Government of India and Doordarshan Kendra has graded her as a TOP Artist. She is also an Empanelled artiste of ICCR, IRECN Govt. of India. Smt. V. Brinda is acting in UAA troupe in main character roles. She was conferred with Kalaimamani by Tamil Nadu Government in 2000. She has acted in more than 3500 plays on stage by associating with Stage Creations, Kalamandir Cine Artist V.S. Raghavan and in Sri Senthamarai Troupes. She has also acted in commercial TV Serials such as Muthusaram Crazy Mohan’s dramas, AVM Productions Galatta Kudumbam, Aachi International, etc. She has acted in more than 30 films right from her young age. She is striving to improve her talents to serve better for arts and culture till her last breath.